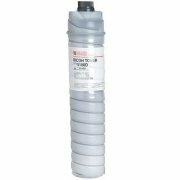 Ricoh 885340 Premium Quality Compatible Black Copier Toner Bottle (1,430 gr. 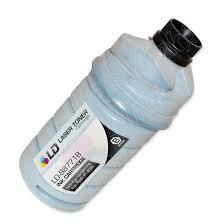 toner) designed to work in the Aficio 1085/ 1105/ 2090/ 2105 copiers. 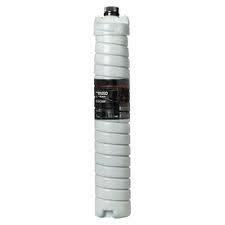 Replaces Ricoh 888156 & 8885340 bottles. Ricoh 887718 Black Premium Quality Compatible Copier Toner designed to work in the FT-4022/ 4027/ 4522/ 4527/ 4622/ 4822/ 5035/ 5535/ 5632/ 5840, Gestetner 2627td/ 2632/ 2635/ 2635td/ 2722z copiers (415 gram toner cartridge). The use of compatible supplies does not void your printer warranty. New Ricoh 887740 (885212) Black Premium Quality Compatible Copier Toner Cartridge designed to work in the Aficio 550/ 600/ 650, Gestetner 3255/ 3265, Savin 9955dp/ 9965dp copiers (1,220 gram toner cartridge). New Ricoh 888008 Black Premium Quality Compatible Copier Toner Cartridge designed to work in the Aficio 850/ 1050 copiers (1,450 gram toner cartridge). The use of compatible supplies does not void your printer warranty.